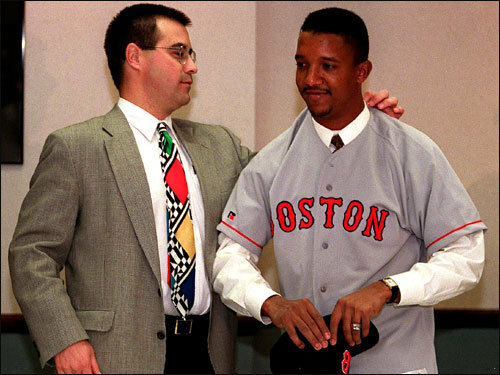 We take a look back at the highlights and lowlights of Pedro Martinez's Red Sox career. On Nov. 18, 1997, Martinez was acquired from Montreal for minor league pitchers Tony Armas and Carl Pavano. On Dec. 12 of that year, he signed a six-year, $75 million deal with Dan Duquette and the Sox.